Sign up and receive Property Email Alerts of Vacant Land for sale in Rockingham, Richmond. 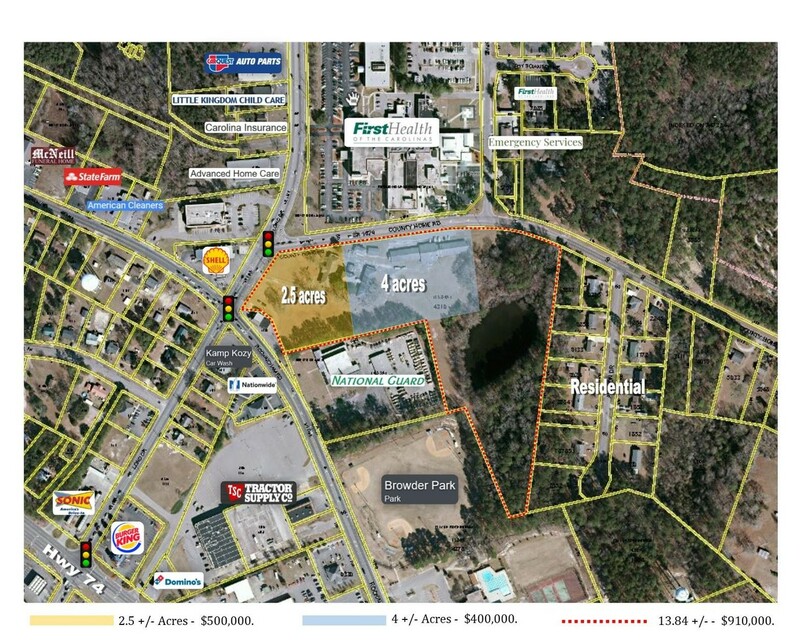 114 County Home Rd, Rockingham NC 28379 - Great commercial development opportunity. 4 +/- acres directly located across the street from First Health. The property consists of a total of 13.8 +/- acres and has been rezoned B-3. Ideal location for medical user. Close proximity to surrounding restaurants, hospital and retail. Property can be purchased as a whole or be subdivided into smaller parcels. No value has been given to structures on the property. Sign-up and receive Property Email Alerts of Vacant Land for sale in Rockingham, Richmond.